Which Needlepoint Canvas Should I Use? 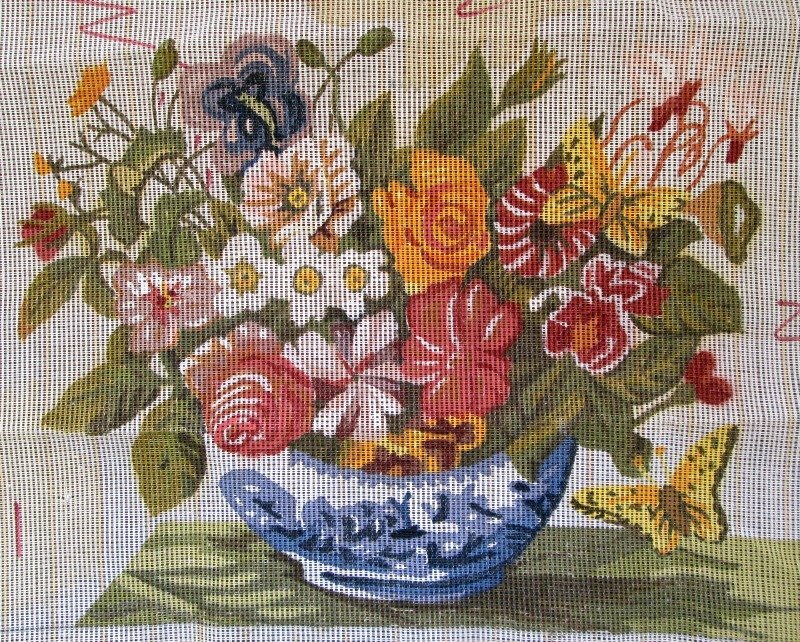 Needlepoint canvas is usually made of cotton and is most commonly white or beige in color. The cotton makes it easy to wash and handle. It is open-weave and comes in a variety of mesh sizes (or degrees of "openness"). We will tell you about the three most commonly used needlepoint canvas types. Click here to get information on which fibers to use for which size needlepoint canvas. Mono needlepoint canvas is what is called a single mesh, or single weave, canvas. It is strong and durable and good for most uses. Stitchers who like to use a variety of stitches like mono canvas because the intersections can move to accommodate different stitch directions and thicknesses. Mono canvas comes in a variety of sizes - 10 through 18. 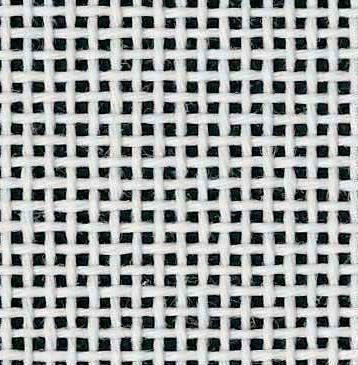 The size relates to the number of threads per inch, so the smaller the number, the larger the "holes" in the canvas - or the more "open" the weave. A size 18 needlepoint canvas would be used for small projects and/or where the design is very detailed. It will take longer to work a size 18 mesh canvas than it will a size 10 canvas of the same dimension. For a beginner learning how to needlepoint, size 10 or 12 mono needlepoint canvas is easier to stitch. 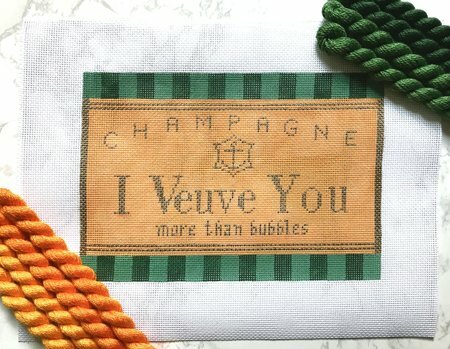 The size of needlepoint canvas you choose will also depend upon the thread you plan to use. The thread should glide smoothly through the mesh. If the mesh is too small it will shred the thread. 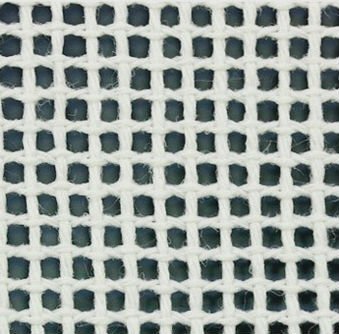 If the mesh is too large the thread will not cover the canvas and the canvas will show through. So, when choosing a mesh size you need to consider not only the design you want to stitch, but also the thread you plan to use. 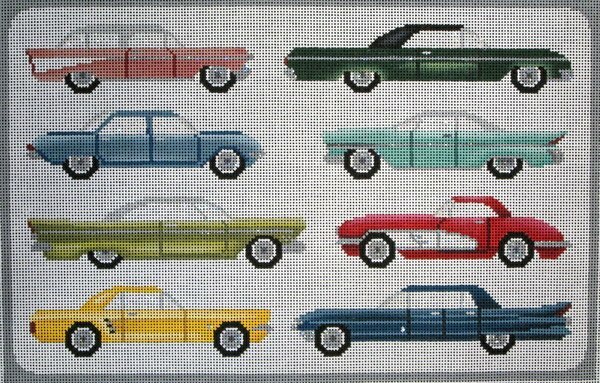 Click here to purchase mono needlepoint canvas. Interlock Needlepoint Canvas close up. Interlock needlepoint canvas is also single weave, like mono, but the threads are twisted together which makes the intersections more rigid - harder to accommodate a variety of stitches but fine if you are stitching a tent stitch. There are different mesh sizes of interlock needlepoint canvas, just as with mono canvas. Click here to purchase interlock needlepoint canvas. Penelope Needlepoint Canvas close up. Penelope is a double weave needlepoint canvas - so two threads, not just one, are woven together to form a mesh. Penelope canvas is popular for "petit point" which is where the canvas threads are split so that very small stitches can be done to create fine detail. 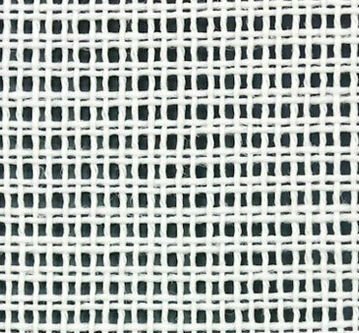 Penelope canvas is available in 10/20 mesh size - it is 10 holes per inch if only counting the large holes and 20 holes per inch if counting all the holes. It is a sturdy canvas and good for all uses. Click the link for instructions on how to stitch a penelope needlepoint canvas. 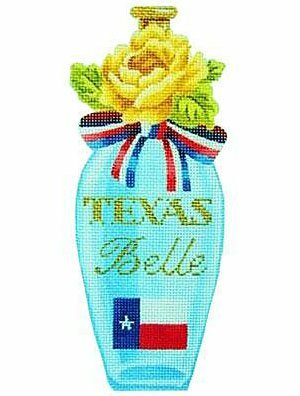 Click here to purchase penelope needlepoint canvas.